Hello from Mantinicus Rock. Our day started at 5:00 in the morning. We packed groceries and gear into project vehicles and headed to the 7:00 ferry from Rockland, Maine to Vinalhaven, Maine. From there we boarded a small lobster boat for the hour and a half ride out to “The Rock.” All told, the trip took about three hours. So here is your first question: Why do you think it might sea-bird colonies might be located so far away from the Mainland? where I am staying! Have you ever stayed in a lightouse? It is very old and lots of fun, but the fog horn blows all the time. Even here is your second assignment: find Matinicus Rock on Google Earth. Use the measuring tool to (it looks like a ruler on the Google Earth Toolbar) and find out how big the island is. Then find out how wide the island is. How far away from the Mainland is the island? Post your answers on the blog. The scientific work started right away as soon as we got settled in our rooms. We first went out to an area of the island where terns nest. We looked for nests and eggs that had not been seen before. Each time we found a new nest, we marked it on a list that we are keeping. Later in the day we went checking puffin borrows to see which ones had birds and had eggs inside. Why do you think it is important to keep track of eggs? Here are some answers to your questions from earlier. The oldest puffin on record is 34 years old. But we do not have data going back further, so they may live even longer. We really don’t the average life span. We know a few individuals who have been banded (a tag is placed on their foot so we know who they are when they come back), but we do not have data on the entire population. I think they are so far away from the coast because too many people might bother them and they would have no space to live. At Matinicus Rock they have all that space to them selves so no one can really bother them. Are there certain fish that Puffins eat? How long can they hold they’re breath under water? Mantinicus rock is 24.47 degrees and 49 miles long. It’s 297.81 degrees from near by land and 19.92 miles long. And it’s 240.46 degrees from New Hampshire and 110.92 miles away. I think that sea bird colonies live so far from people because they don’t want to be bothered or get killed. Do puffins live in zoos? Are there any near here? I would love to see one. Mantinicus Rock is .46 miles long and .15 miles wide. I think that they don’t live on the coast because they don’t like people. I think it is good to keep track of eggs because then you know how many birds there are. Mantinicus rock is .47 miles long, the perimeter is 1.16 miles and .16 mile wide. Mantinicus rock is 98.17 miles from the coast of New Hampshire. I think puffins live so far from the coast because they are not disturbed by humans. How tall do puffins grow up to? Think they don’t like it when people are around them and taking pictures also if they were closer to the coast predators would not eat or see them. Do puffins have a lot of predators? What are they? It is good to keep track of the eggs because so you know how many birds there are. I think sea-bird colonies are located so far away from the Mainland because it could be too small for them to stay and the blowing of the foghorn probably scares them. I think it is important to keep track of eggs because puffins come out of the eggs and puffins are not endangered but they aren’t something you see everyday either, so if something happens to the eggs, the population of the puffins stays the same. The island is 2.01 miles long and 0.94 miles wide. It is 15.37 miles away from the coast. Did you keep any puffin eggs to bring back? And its 18.46 miles form the coast. I think they live so far from share so they don’t get bothered from people. I think that you should keep track of eggs because they don’t get lost or eaten. How are you getting pictures of the birds and are you having a great time? Mantinicus rock is .49 miles long and .18 miles wide and from the coast of Ne Hampshire 108 miles. Maniticus Rock is .47 miles long it is also .16 miles wide. It is 98.17 miles from shore of New Hampshire. I feel they live far away from coast because it is warm there, and also want their privacy. How long do the puffins live? 2.Seabirds lay eggs out somewhere because people wont disturb them I think. 1. The island is 0.47 miles long and 0.16 miles wide, it is 20.84 miles from the main land. 2. I think sea bird colonies are far from the main land because in the main land there are too many predators that could eat the eggs and the puffins. 3. I think scientists keep track of the eggs to see if the puffin population is going up or down. I have a question of my own, around how many puffins do you think are on the islands. I think that the colonies so far away because the sea-birds get there food. I think it’s important to keep track of the egg because you need to know the population of the puffins to see if there increasing or decreasing. Dose the horn in the light house bother the puffins? How long do puffins survive? How old can puffins get? How long dose it take for the female to have babies? I think it is important to keep track of the eggs because they might want to know if the puffin will come back to the nest. I think the problem of the sea-birds colonies are far away from the Mainland is the people might be destroying the habitat or the predators are growing. The length is 0.48 miles and the width is 0.14 miles. From the mainland to the island is 14.55 miles.I think the puffin colonies didn’t go to the mainland because they didn’t want to get hunted. how much eggs are there now, if they go next year,they could compare. Will they be able to tell if there are more puffins on the island this year than last year. The length of the island is 0.48 miles. The width of the island is 0.15 miles. From the island to the shore is 19.24 miles. I think the puffins are so far away because lots of people would hunt the puffins and I think that the water is colder out on the rock and there is more fish for the puffins to catch. I think it is important to keep track of eggs because they do not want take another baby by accident. The length of it is 0.50 miles. The width is 0.15miles.The length from there to main is 17.22 miles. I think it is safe on the rock. I think they need to keep track of eggs to keep them safe. I think sea-bird colonies are located so far away from the mainland because they need somewhere to get food. I think it’s important to keep track of the eggs because you need to know the population of puffins and other birds. How long does it take puffins to grow their grey beak and then their colorful beak? How many fish can they hold in their beak at one time? How come the fish don’t get away when they open their mouth to get a new one? What is the record? 1. The island is 0.49 miles, the width of the island is 0.16 miles, and from the main land to the rock is 20.81. 2. The sea bird colonies might lay there eggs there because people might take there eggs and eat them. 3. I think scientists keep track of the eggs because they want to know if they are in danger or there are to many of them. How can they hold 63 fish in there beak? What is the puffins life span? The length of the island is 0.45 miles.The width of the island is 0.15 miles.The length from the island to the shore is 15.69 miles.They live so far away from the shore because the water in Mantinicus rock is the right temperature for them. They keep track of the eggs so they know there safe and protected. How do the puffins hold 63 fish all at once? The Length of the Island is 0.50 miles long. The Width of the Island is 0.15 miles long. The length from the Island to shore is 15.69 miles long. I think they keep track off the eggs that’s why they can make sure they are safe and that’s why they can protect them. I think they live so far away from the Main Land because people can take the eggs and hurt them. So they can be protected from people by living far away. How are they able to hold so many fish in their small beak at one time ? Does the fog horn bother the Puffins ? The island is 0.47 miles long and 0.14 miles wide. They live so far from land because of the animals. The puffin might get the wrong egg. Mr. Tannenbaum, I think that sea bird colonies lurk away from the mainland because at the mainland, the sea birds would not find the right food and they wouldn’t like the pollution over there. Mr. Tannenbaum, the island is 4.78 miles long, and 4.68 miles wide, and the distance from the island to the mainland is 17.30 miles. Mr. Tannenbaum, I think it is important to keep track of eggs because we’ll know if there is an increase or decrease in the seabird populations, and if any seabird is on the brink of extinction. It is important to keep track of the eggs so they know how many there are going to be. I think the sea-birds colonies are far away from the Mainland so people don’t try to bother or catch them. 0.48 miles long in length and 0.18 miles long in width. 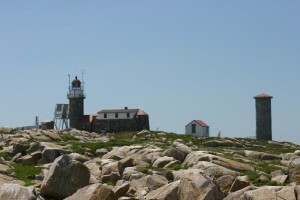 The distance between Matinicus Rock and Maine is 17.66. I think sea-bird colonies aren’t on the Mainland because some people eat the birds, whose population will decrease. 0.48 Miles long and 0.16 miles wide. The distance between shore and the rock is 19.48. I think it is because they will kill them to eat them and there population will decrease and they are ready did drive them out of Maine. The island is 0.49 miles the width of the island is 0.17 miles long From Matinicus to shore is 16.04 miles long. I think the sea bird colonies are so far away from the coast because in main maybe a lot of people eat sea birds like they did with puffins. It was 0.48 miles long and 0.17 wide. And also is 2.52 miles from the island. I think the sea-bird colonies might be nesting on Mantinicus Rock away from Maine because the have more space, and they won’t be hunted. The length of the island is 0.47 miles. The width of the island is 0.17 miles. The length of the island to Maine land is 38.36 miles long. I think it is important to keep track of eggs is because if one is taken or stolen by a predator you will know because the marking of that egg will not be there. Do Puffin’s nest in the same place they were born? What was the largest Puffin’s length? I think bird colonies located far from the land because people might destroy their habitat. The island is 0.48 miles long and the width is 0.16. I think it is important to keep track of eggs because if someone takes the eggs they will know the egg is missing. Where can you find Puffins or see Puffins in New York? If there are any. It might be far away because they don’t want people to take their eggs or nests. The length of the island is .49 mi long, the width is .19 mi, and the length from the mainland is 19 mi long. It is important to keep track of the eggs because they could tell if the population is increasing or decreasing. What is the average population of puffins on that island? I think sea bird colonies are located so far from the mainland because people may ruin there habitat. Mintincus rock is .46 miles long and .16 miles wide. The island from the land is about 3.02 miles. I think it’s important to keep track of the eggs in case something eats it or happens to it. How long do Puffins live? I think the puffins colonies are so far away because if they lay there eggs on the mane land they might be harmed by humans. The is land is 0.47 miles in length and 0.15 in whit. The mane land to the is land is 16.68 miles. I think it is important to track the eggs to see how big the colonies have grown. What are the predators of the puffin? What do puffins eat? I think that puffin colonies are not located near mainland because people might destroy their habit. The island is 0.46 miles long and the width is 0.14. I think it’s important to keep track of eggs because if an animal or a person takes an egg they’ll know if one is missing or not. I think Puffins live far because people can hunt them and Puffins could be extinct again. The length of Mantinicus Rock is 0.47 miles long. The width of Mantinicus Rock is 0,17 miles long. The length of Mantinicus Rock to shore is 19.98 miles long. It is important to keep track of eggs because something interesting could have happened to the eggs. Do Puffins live New York? Can you see Puffins in a zoo? I think puffins might not want to live by the shore because there might be a lot of people and not enough food. I think its important to keep track of their eggs because if they don’t a predator might come and eat or take the egg. Are there any predators on the island? What are the natural predators of puffins? How can puffins carry so many fish in there mouth because there mouth looks so small? Can you take a picture of them with a lot of fish in their mouth. I think Puffin colonies are far from the shore because people would hunt them and then the Puffins won’t come back. The length of Mantinicus Rock is 0.49 miles the width of Mantinicus Rock is 0.18, you are 16.78 miles from the Mainland. Its important to keep track of the eggs because you could watch their progress and see what they have been doing. How many Puffins have you seen so far? I think sea-birds do that because people could step on there eggs. And people could eat them. The island is .49 miles in length and .16 miles in with and the distance from the rock to shore is about 21 miles. I think it’s important to keep tracked of eggs because, to see if there’s enough space for them and to know if anybody is eating them. How do Puffins get along with each other, like do they fight one anther. Do they mate for life? Scientists need to keep track eggs because if one gets lost they will know. I think Puffin live on the rock is because so there eggs will not crush. Also they need good air. Can you get a picture of a puffin with a bunch of fish in its mouth? How many fish have you seen in a puffin’s mouth? I think that they would be so far away from island because they need room to move around and there is food and water. I think it is important to keep a count of the eggs because they have to see if they hatched yet. Do they put bands on the baby birds to see if they come back next year? I think the puffins live so far from shore because they do not want the eggs to get disturbed. The island width is 0.18 miles. The length is 0.47 miles. The island is 19.87 miles from the main land. I think it is important to keep track of the eggs because than you how many have grown. 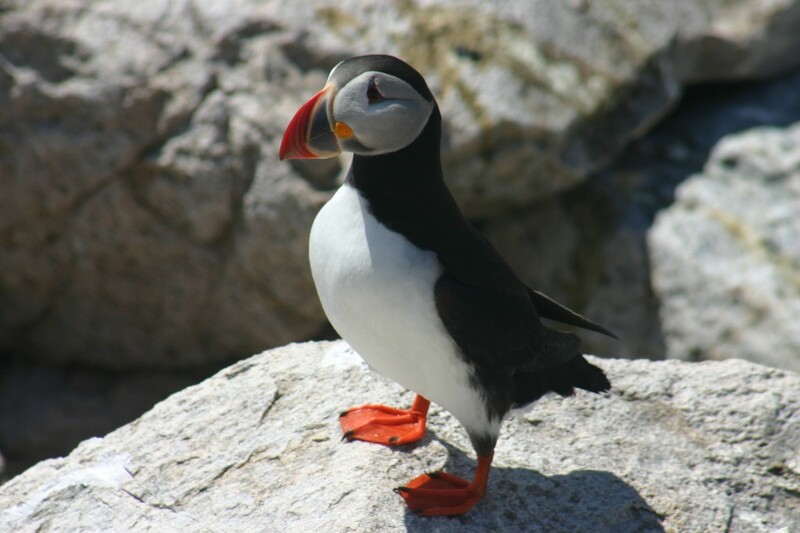 How many puffins live of the coast of Maine? I think puffin’s used to live in mainland then flew to Matinicus Rock when people destroyed most of their habitats they moved to the rock. I think the fish that the puffins eat are better at the rock. The length of the island is The width is 48.00 . It is from the mainland. I think sea bird colonies are located so far away from the main land because they might be hunted and eaten. The island is 0.48 miles long and .17 miles wide. It is 20.05 from the shore. I think the birds live there because it is more peaceful for the birds and it is cleaner. Mantinicus Rock is 0.48 miles long. I think the birds like making there nests in the ocean because they are closer to a food source and they also are very close to the open ocean so the chicks don’t have far to go. It is also 0.18 miles in width. And it is 20.68 miles from shore. I have never stayed in a light house. I think they are counting the eggs so they know how the population is growing and adapting. What is a puffin’s favorite food? How do puffins hunt for their food. How can they hold so many fish in their beak at one time? Why don’t some fall out? I think the birds don’t go over here because they don’t want to be near all the pollution. There also might be predators on the mainland like raccoons and bears. What are the predators of the puffin? The island is 20.72 from the mainland. 1. Sea birds probably go to Matinicus Rock instead of the mainland because it is closer and it might be easier to go to the sea without tourists blocking and bothering them. 1. Think that sea bird colonies might be located so far away from the Mainland are because puffins have to stay in a certain degree to be in only at one place. 2. The Island is 20.64 miles away from the main island. 4. I think it is important to keep track because there is not that much of puffins there. 1. I think the puffins live off shore because so the other animals do not eat there nest. 2. The length of matinicus rock is 0.48 miles. The width of it is 0.16 miles. The length to land is about 17 miles. 3. It is important because they need to be there when they hatch so the can feed them. 4. Have you ever picked one up and feed them? 1. I think the puffins live of land so they are not near there nest . 2. The length of matinicus rock is 0.48 miles. The width of it 0.16 miles.The length to land is about 17 miles. 3. It is important because the need to feed them. 4. Are you allowed to pick them up? I think that puffins are located so far from there colonies because it is easier to get food. Such as fish. The island is about a half a mile long. The width of the island .15 miles long. From the island to the main land it is 16 miles long. I think its important to keep track of the eggs because it could be their saver to extinction. Scientist must keep track of the eggs so that they know how many puffins are in Matinicus Rock. Here are some questions I have. How many puffins have you seen so far? Do puffins need a specific temperature to live? How far can a puffin go without food? How many eggs can a puffin have at one time? 1. I think that because the puffins need space to lay there eggs. 2. it is 0.48 miles long and 0.18 miles in width. They are 19.07miles away from land. 3. Its important to keep track of the eggs is so they can see when they are born. 4. How many puffins are in the world? I think bird-colonies would be so far from the main land because there is a lot of water there. Also there is a lot of space for the birds. The length of the island in 0.48. Not even a mile! The width of the island is 0.16. That is not even a mile too. I think it is important to keep track of eggs so you know when they are going to hatch. more food around where they live. 2. The main land is about 20 miles offshore. 3. I think it is important to keep track of the eggs because it can show how big the populations of puffins get. It can also show how many eggs in a month they made. 1. How many PUFFINS an estimate do you think are on the island? 2. How much pounds of food do you think puffins eat? No I have not stayed in a light house. The length of the island is 0.48miles long. The width of the island is 0.18.the length from the mainland to the island is about 20 miles. The seabirds might be located so far away from the mainland because humans may try to kill them or other animals near the shore might eat them. They keep track of there eggs so they don’t get lost or they will get them mixed up with other puffin eggs. Are puffins large? Do puffins eat a lot? Do people eat puffins? 1. I think sea bird colonies might be located so far from the mainland because to eat food go back to Mantinicus Rock. 2. 0.48, 0.17 and 21 miles	3. I think it’s important to keep track of the eggs because Puffins are endangered animals so they want as many puffins as they can. 4. Why do puffins have a lot of colors on there beaks? 5. How much fish can they hold in there mouths? I think they live so far away from mainland because they like water. The island is half a mile long and .17 of a mile long. The island is 15 miles away from the mainland. Are puffins only black and white? Are puffins carnivores? 1. I think sea-birds colonies might be located so far from the Mainland because it is a busy and noisy place and there are many people there and the water may not be so fresh. 2. In Matinicus Rock the island is 0.48 long in length. The width of the island is 0.16 long. The length of the island to the Mainland is 0.18 long. 3. It is important to keep track of the eggs because if their young and they need to be taken care and if they don’t they will die and eventually puffins may be extinct. Do puffins eat certain kinds of food??? When puffins hatch do they need to be in a special place???? Q1. I think sea-bird colonies might be located so far away from the main land because there are no people who live there and more space to create burrows. Also, because there might be less garbage there and more fish to hunt for because there is no people fishing in that area. Q2. The island Matinicus Rock’s length is 0.48 miles. Matinicus Rock’s width is 0.17 miles. Q3. Matinicus Rock is about 20 miles from Maine. Q4. I think it is important to keep track of the eggs so scientist could keep track of where the puffins go. 1. I think sea- birds colonies might be located far away from the mainland because it might be to noisy for the sea-birds, that’s why I think sea-birds live so far away from the mainland. 2. The island is 0.48 in the length and the width is 0.16 long. The length of the island to the mainland is 0.18 long. 3. It is important keep track of the eggs because if one of the eggs goes missing you will know how many are missing. Also if they go extinct then you will know how many are still alive. That why you should keep track of the eggs. 1.Because they live far off the shore because scientists put the eggs there. 4. Did you eat any puffins yet? 2. The island is about a half a mile long .The length is about .48 miles. The width of the island is .16 miles. From the island to Maine is 17 miles long. 3. It is important to keep track of the eggs because its good to see how much the puffins are breeding and if they are becoming extinct. Also to see what is the amount of puffins are on Matinicus Rock. 4. Here are some questions for you… Have you or any one else eaten a puffin before? How close can you get to a puffin without it flying away? What is the population of puffins on Matinicus Rock? What are the predators of puffins? 1. The birds live there because it may be too much pollution on that land because of the humans and their maybe too many predators like wolves or coyotes are livin there. There are no humans to pollute or predators to attack them. 2. The length is 0.48 and the width is 0.17 and the distance between the mainland and matinicus rock is 22.84 miles away. 4. Do puffins eat just eat fish? 1. I think they live so far of mane land to not be hunted. 2. Length is 0.49. The width is 0.16. The dissent form there to mane land is 19.31. 4. What climate do puffins live in? If the temperature gets warmer does that mean the eggs will hatch faster? Or does that harm the eggs if they get too hot? 1.They live there because it is more peaceful for the birds and it is cleaner. 2.the length of the island is 0.47. the width of the island is 0.19.from the land to the mainland it is 20 miles. 3it is important to keep track of the eggs because if you have a lot of eggs you could lose them. 1. Puffins mostly eat pollock and squid. 2. Puffins can swim up to 200 feet deep. 3. Puffins can hold 10 fish in their beak at a time. 4. Puffins can stay under water 1 to 2 minutes. 5. How long can a puffin live? Puffins can live 20 or more years. 4. Puffins can stay under water for about 1 to 2 minutes. 5. Puffins can fly up to 55 miles per hour.